I have a GoPro Hero3 camera. I made a couple of short videos when we did Tough Mudder 1 in the summer of 2012, but it has been just sitting in my room. I don't wear them much because regular sports activities I do such as running and bicycling are not interesting enough for a video. People do a lot of creative stuff with the wearable camera outside sports, and I wanted to find better use of the camera in my daily life because I like the product and the company very much. One use-case I always think is that I wear it while I do creative things such as home electronics and cooking. 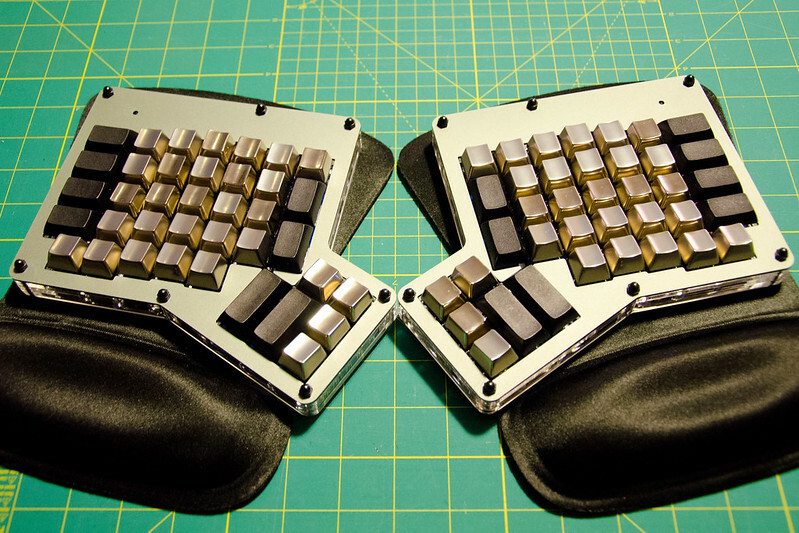 Several months ago, I bought a kit to build my own Ergodox keyboard 2. I soldered numerous tiny parts while I was assembling it, and some steps were tricky for a novice electronics hobbyist like me. A friend of mine bought the same kit later, and I wanted to share my tips. I wish I wore GoPro camera while I was assembling because I certainly forgot many of the lessons already. There is one difficulty I can easily guess if I wore the camera: I would have to replay almost the entire video footage later to extract and edit interesting parts. Or worse yet, continuous recording of the entire creative process may not be possible without disrupting the main activity: I spent a half day assembling the keyboard, and that is too long for both a high capacity SD card as well as the camera battery. Here is an idea to make this work better: The camera continuously record video but keeps only the last X minutes of the footages unless we tell the camera to keep it. That way, we can focus on the main activity, and we can retroactively tell the camera to keep the recordings whenever something interesting happens. The footages remained in the memory should be much shorter and filled with more interesting scenes than the continuous recording. I think I heard that idea before somewhere but I am not sure if there is a product like this attached to first person camcorder. Does anyone know? And yes, here are the Tough Mudder videos. One of my fond memories with folks at FiveStars.